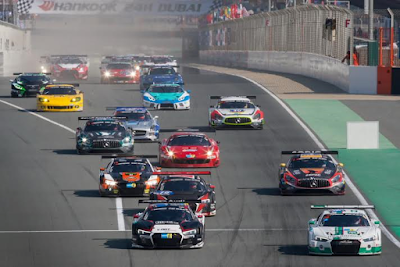 Free-to-air sports channel Front Runner has confirmed it's showing live motorsport this weekend, at the season opener of the 24H Series from Dubai. Fans can tune into real-time updates from the "Hankook 24H DUBAI – Round 1 of the 24H SERIES" on Friday 13th and Saturday 14th January 2017 via Sky, Freeview, Freesat and Talk Talk/BT (YouView). The show will be presented by commentators from Radiolemans.com. On Friday, between 9.30am and 11am follow the race buildup and anticipation from the start grid, with pre-race interviews with the drivers, the first pit stops and initial laps of the race. From midday to 5pm, tune into the race’s progress and get to know more about the drivers and teams competing. And depending on viewer reaction, this might be the start of future live events for the channel. 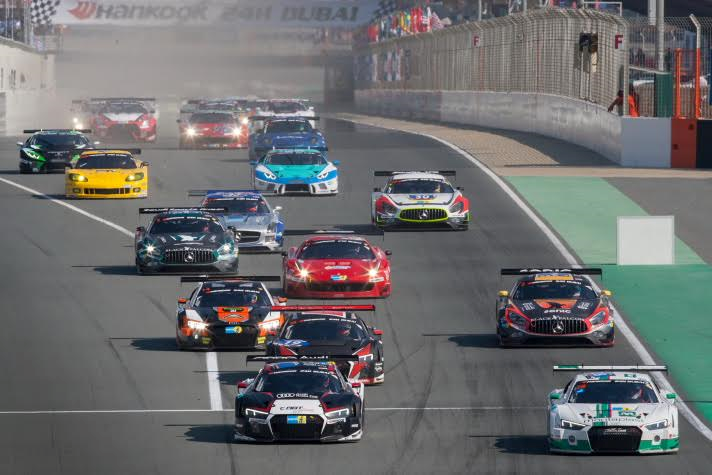 “We’re delighted to be introducing live motor racing with the first round of the 24H SERIES and screening all the action as it happens in Dubai. Front Runner is available on Freeview & YouView (BT/TalkTalk/Plusnet) channel 91, subject to terrestrial coverage and receiver, Freesat channel 250 and Sky channel 468.